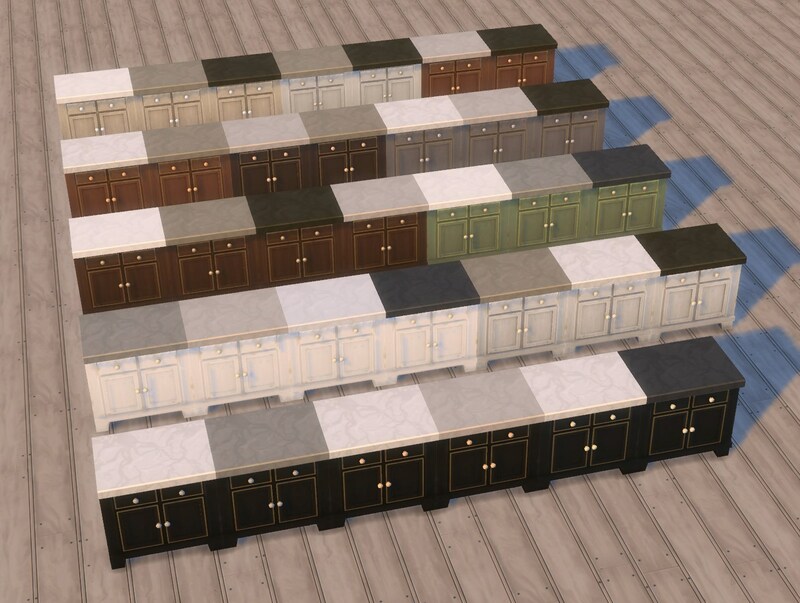 A full set of counters and cabinets in 12 colours, each with a few different countertops to choose from, so the counters have 34 colour variants all in all. 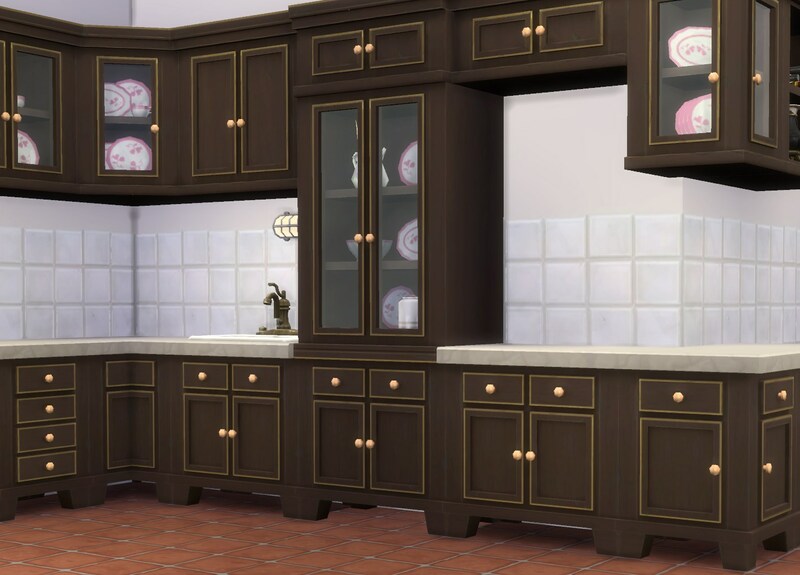 The cabinets have an additional “No-Drop” version (which is also displayed when walls are down, so there won't be obvious gaps in the kitchen when you use e.g. 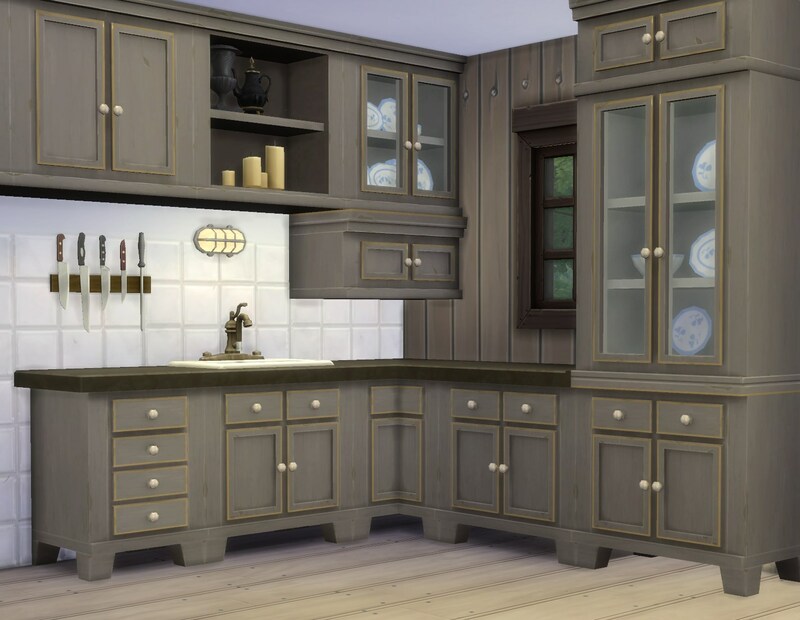 the tall cabinet like a cupboard). 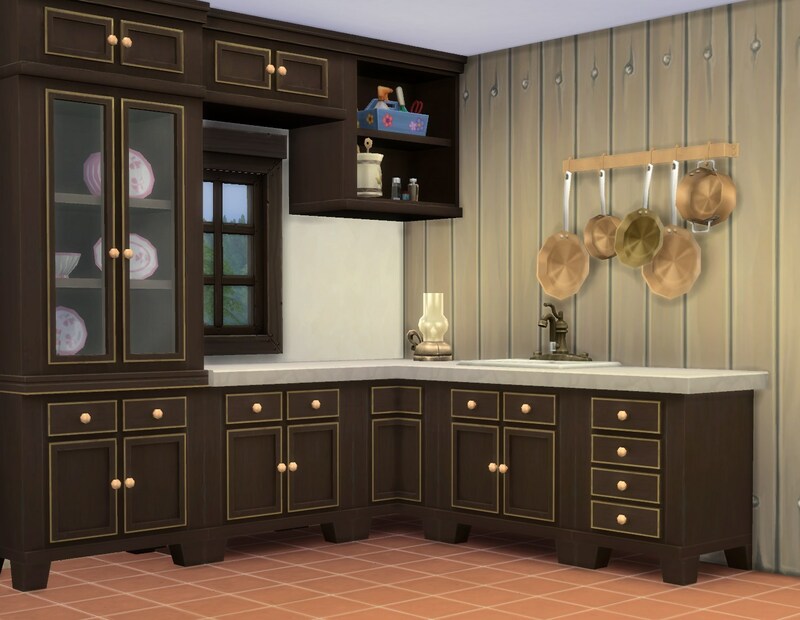 These are matching the Maxis “Home is Where the Hutch is” dining hutch, and other objects derived from that such as this cupboard/fridge, this armoire and this sideboard. 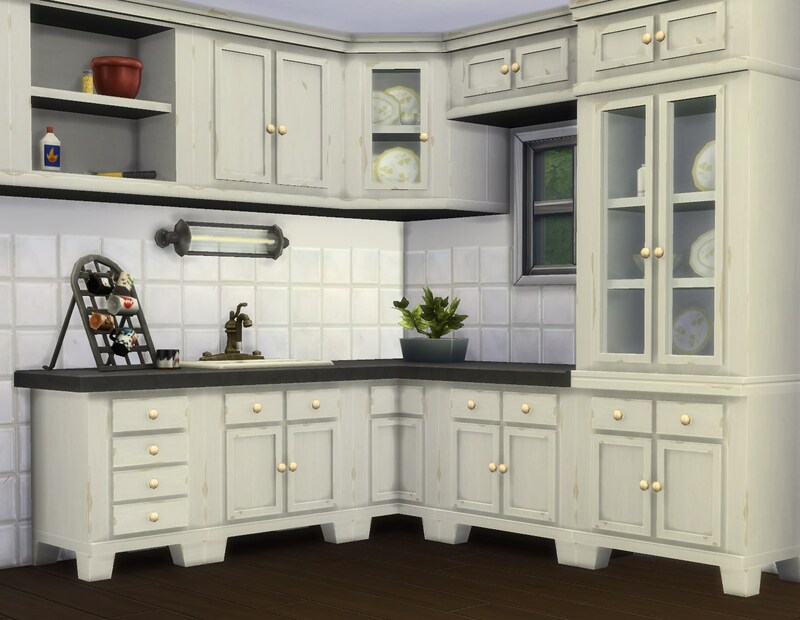 A fridge for this kitchen (as a fitted cupboard, like the tall cabinet) is uploaded here. 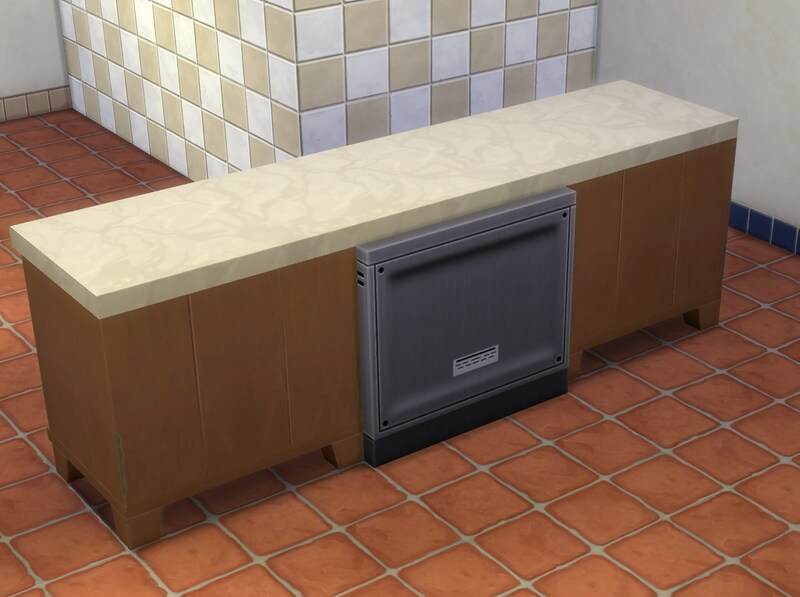 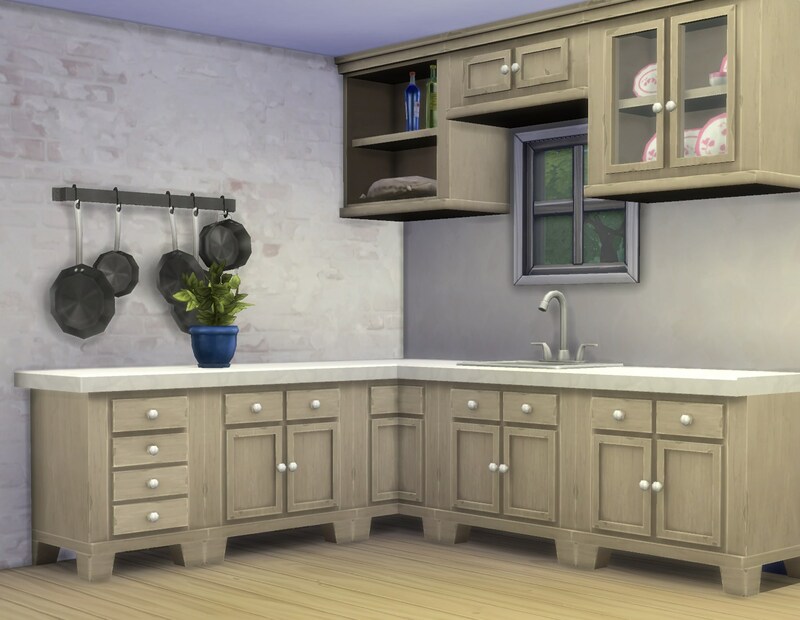 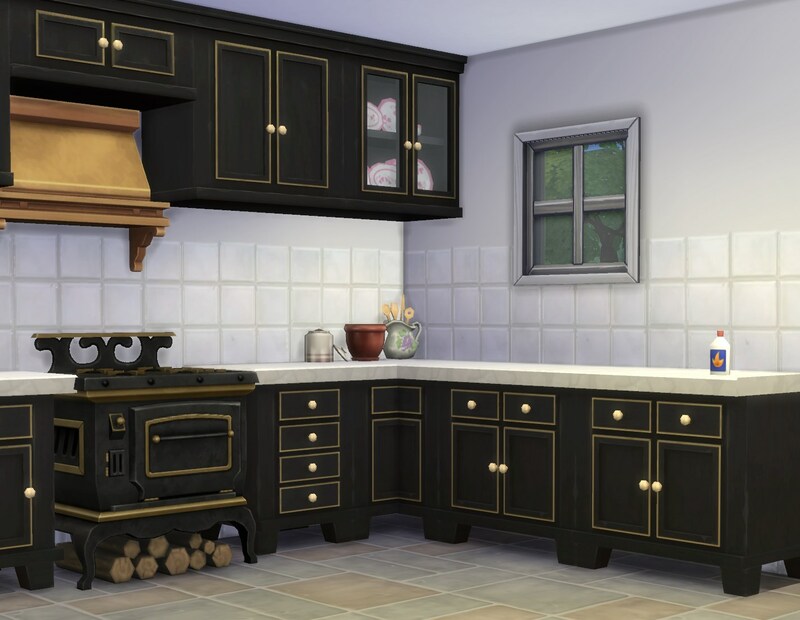 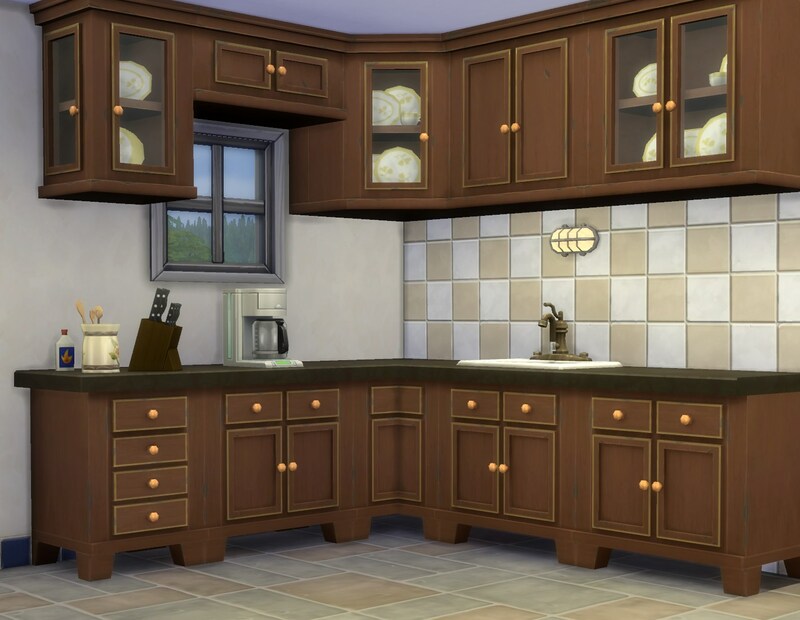 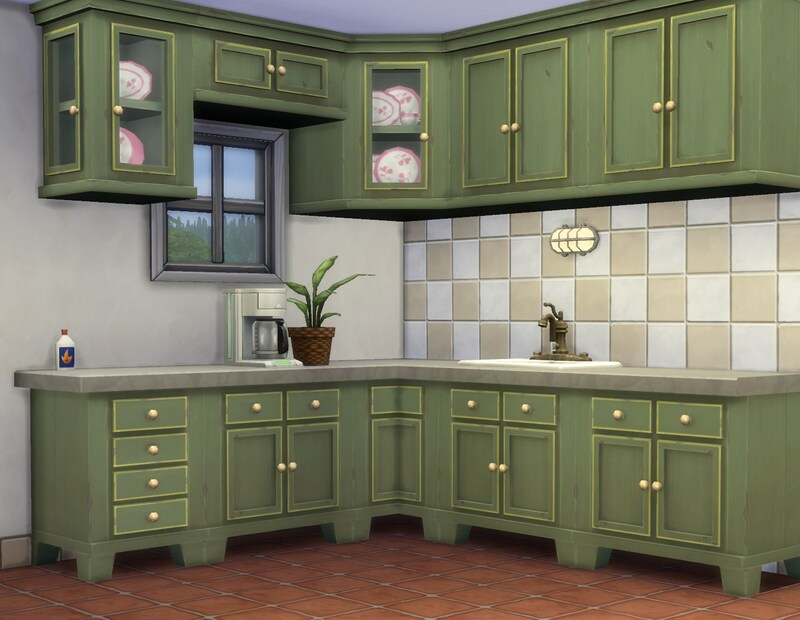 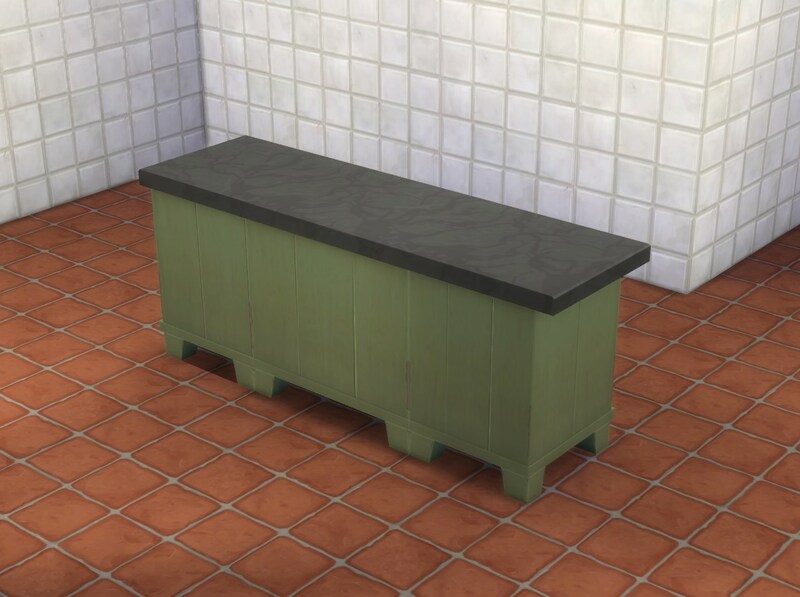 The straight counters also have custom slots ‒ I moved the dishwasher slot a little further back because the counters are a little less deep than the Maxis ones, which means the Maxis dishwasher (and any custom ones that are the same size) will stick out at the back. 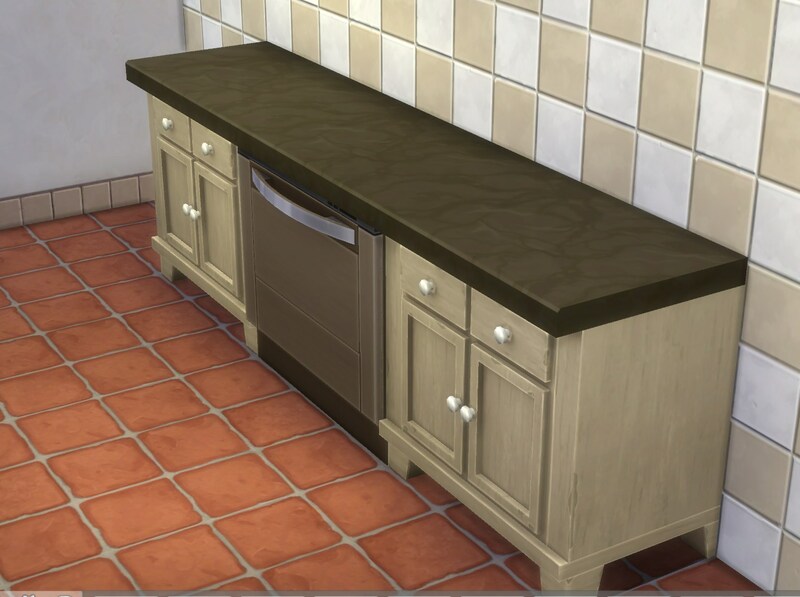 It does not clip through the wall though, see screenshots (the “default” screenshot shows the unchanged original rig). 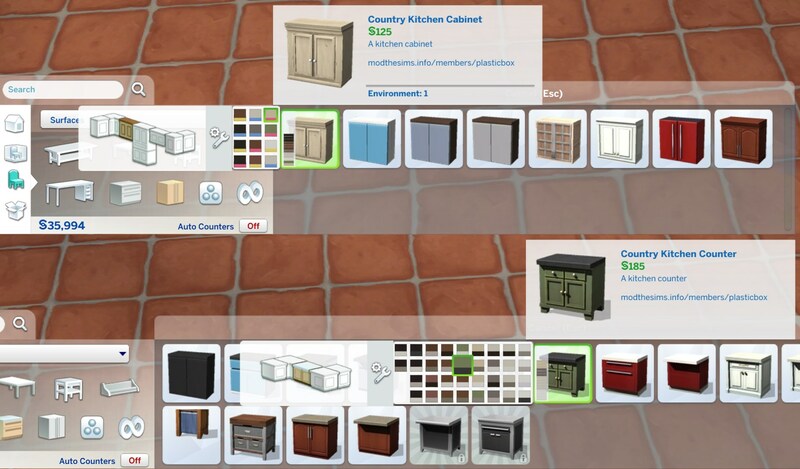 The counters cost 185§, the cabinets 125§. 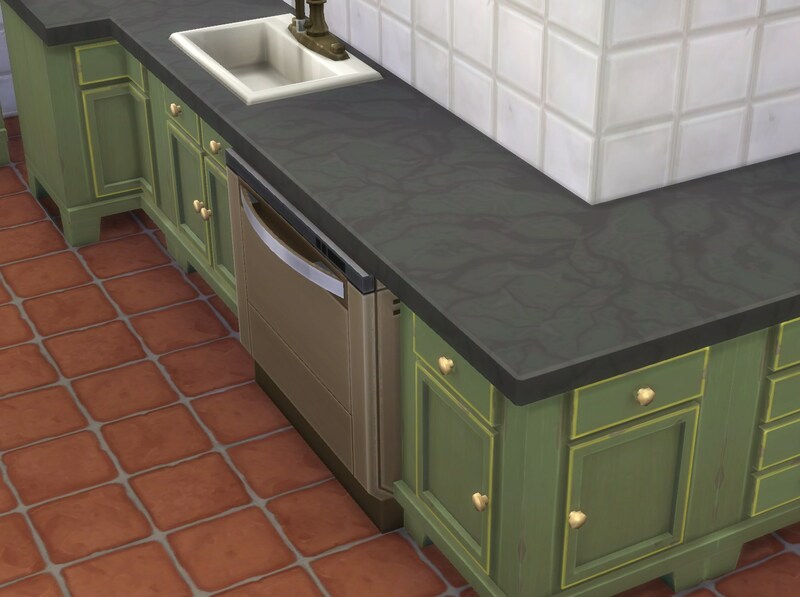 Found in Counters/Cabinets. 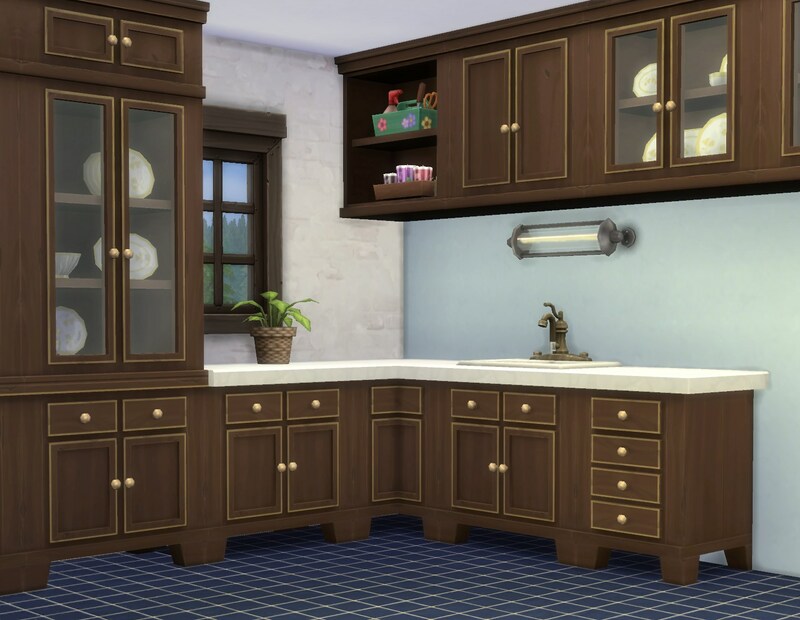 Note that the No-Drop version is just an add-on; you need the actual cabinets as well for it to work. 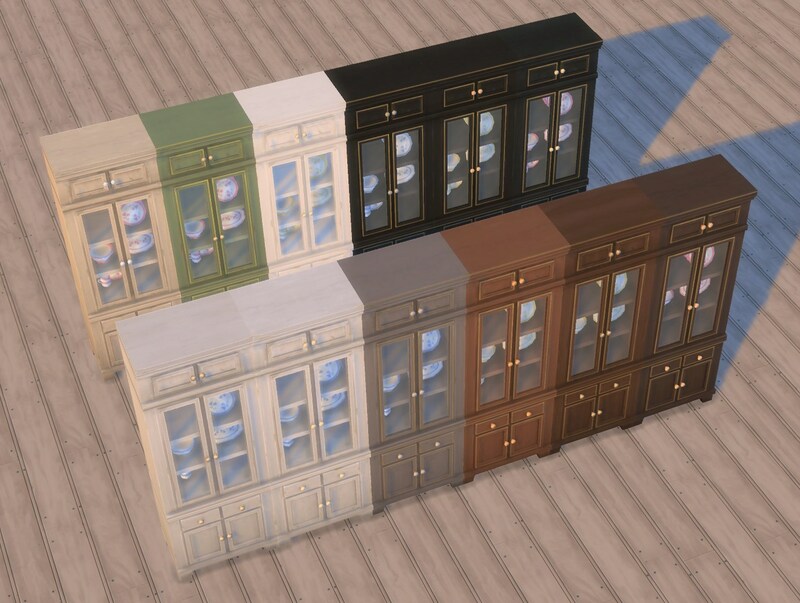 Textures are all referenced from the abovementioned dining hutch, including the three hidden colour options. 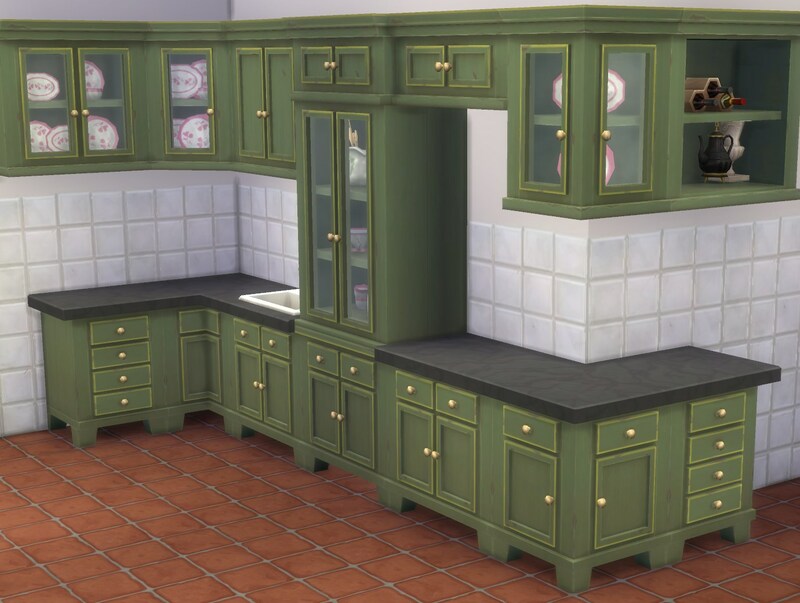 Note that these are quite a bit more detailed than similar base game objects (mostly due to the handles), so the high poly versions in particular have a higher poly count than usual.